Thanks to all of our Catholic Bloggers Network Blog-Savers! Just last week, the Catholic Bloggers Network website disappeared off the face of the Blogsphere. Thanks to our Tech friend Mike of Michael Mann Web Design who got us up and running on WordPress…with a couple new features and his custom designed theme…in record time! 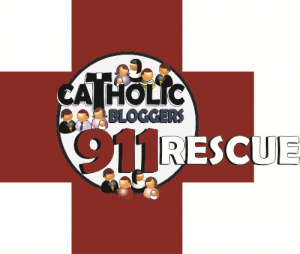 Thanks also to the awesome and generous Catholic Bloggers who donated in response to our Catholic Bloggers Network Blog Rescue appeal…enabling us to pay for all his hard work! I’m hoping to get all the special Catholic Blogger Network sponsors linked up here…please be patient as I round them up! Sorry if I miss anyone…and sorry if I can’t access your favorite picture or blog button! Mercy – Is It Only for Christ to Give? Do We Accept the Change God Gives?